ePRINTit™ enables mobile guest printing directly from the guest’s mobile device (laptop, smartphone, tablet) to designated printers at your property. As more hotel guests travel with their laptop and mobile devices, having access to reliable and secure mobile printing is a necessary hotel service. ePRINTit’s Cloud Printing Solution for Hospitality is the most powerful Cloud processing system in the world, deployed across thousands of properties and used by over 15 million people worldwide. For more than 8-years, the ePRINTit™ Cloud Print service has processed millions of documents weekly. Guests are relying upon ePRINTit™ to print their documents for work, education, travel, meetings, and much more! With ePRINTit, you give your guests the ability to print their documents from any device to any designated printer at the hotel business center, hallways, executive rooms and lounges, or at the front desk. Guests simply email the files they want to print to your hotel’s branded email address and visit a print release station where they type in their 8-digit release code to retrieve their print jobs. There are massive security concerns for guests and hotels alike.  Enable secure mobile guest printing directly from the guest’s device and uses a secure release code system to keep all documents private. Modernize your printing environment and existing print infrastructure with ePRINTit. You can turn your existing printers into a release station that guests can send and retrieve their print jobs from. ePRINTit is a Cloud SaaS solution, meaning no additional IT is required or costly print servers. Our fully hosted and managed solution reduces the strain on your IT support, allowing you to focus on your guests and their experience. ePRINTit is the most cost-effective solution on the market for hotels – it’s less than $1 a day! You can also generate additional revenue by charging guests through our e-commerce and m-commerce solution without expensive add-ons. Guests can send their documents to your hotel’s branded email address (hotel@eprintitservice.com) and can release their document at ANY enabled printer in your fleet of hotels! Guests can print by emailing documents to a printer’s unique email address, uploading documents to a web printing portal via URL, or by using one of the mobile printing apps available for iOS and Android devices without having to download and install printer drivers or connecting to the network! ePRINTit™ uses a secure release code system to keep all documents private. After a document is sent for printing, a release code is sent back to the user which they use to release their documents. Documents not released are never printed, helping to eliminate paper waste and your guest’s security. The public printing solution offers hospitality and retail customers a wide variety of ways to access and upload their print documents for printing in public. 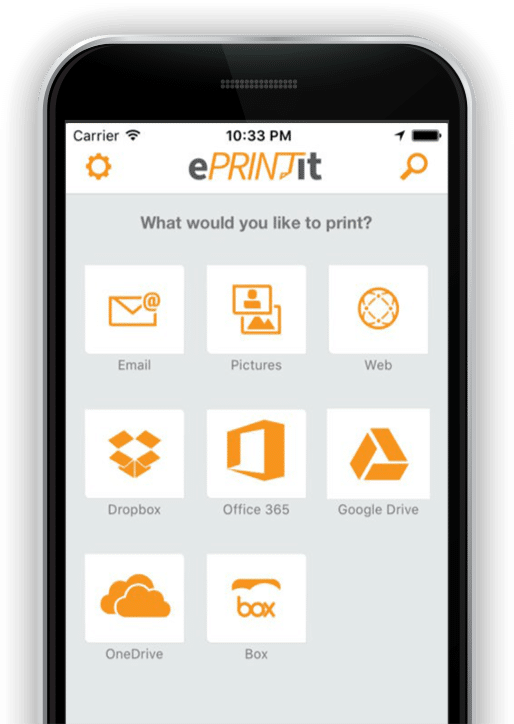 Users can logon to the ePRINTit™ web portal from any web-connected device, download and install the ePRINTit™ mobile app, send their documents via attaching them to an email sent to a designated business email address, or they can print through direct connection from a USB. The ePRINTit™ Web Portal option for public printing allows users to visit the portal website through any internet-connected device, on any standard web browser. Users first chose their desired ePRINTit™ printer location, and then proceed to upload all print jobs to the ePRINTit™ cloud for printing at their selected release station. Once the content is uploaded to the ePRINTit™ PPL Server, it is securely transferred and releases back an 8-digit release code after submitting their files. The ePRINTit™ PPL Server stores it in the Secure Storage Locker in the ePRINTit™ Cloud where it is held there until release. Submitting the release code has the Secure Storage Locker decrypt it to the ePRINTit™ PPL Server where it is downloaded to the printer station. From there, the print job is released to the user. Customers wanting to use the USB option for public printing can also do so at enabled locations by inserting their USB drives containing their print jobs, at participating ePRINTit™ kiosks, and following the simple, on-screen instructions that ensue. For document retrieval, public users of the ePRINTit™ mobile app are required to select a location for print job release during the print file upload process. The mobile app has a built in geo-location feature, allowing users to automatically see the printers in the nearby vicinity and select the printer they desire. Users sending their documents via email or using the USB option for release can alternatively search for a print location through the location search bar within the application, or web portal. Check out the all-new ePRINTit™ Public Print Locations app for hospitality. This app allows guests to print directly from their mobile device to any authenticated hotel guest print release station.